Sometimes it&apos;s nice to just get in the car and drive - especially when there is hardly anyone else on the road. Driving through a still sleepy city on an early Sunday morning can be therapeutic. 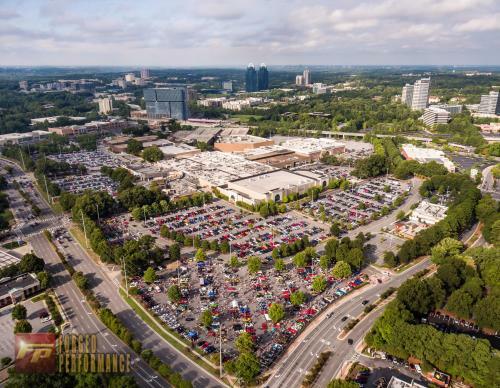 That is why over 2,500 cars make their way 10 miles above the city of Atlanta to Dunwoody, Ga. on the first Sunday of every month before the sun can even greet the sky. As the morning progresses, 10,000 friends and fanatics alike will join them at Perimeter Mall for the largest car show in North America. 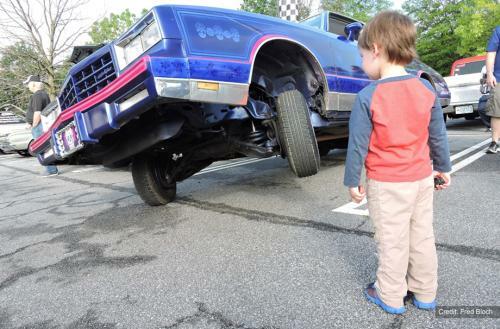 With record attendances and a TV show on NBC Sports Network, the Caffeine and Octane car show is making quite the name for itself. So we scheduled a pit stop with another important name - Bruce Piefke. He is the man responsible for bringing the car show to Dunwoody each month. 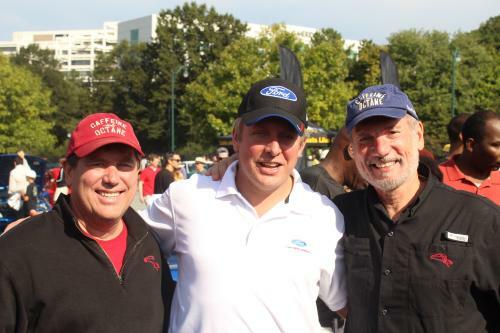 Bruce shared everything you need to know to get you in gear for the next Caffeine and Octane. Q: Are you a car enthusiast? What led you to get involved with Caffeine and Octane? Bruce: I grew up loving automobiles and I think cars are like music. They take you back to fond memories. Everyone remembers the day they got their driver&apos;s license, their first car, and what was playing on the radio during that time. It was that passion for cars combined with my core business of event management that got me into the car show business. I connected with Caffeine and Octane about six years ago and had the opportunity to purchase it. After three years of outgrowing various locations, I moved it to Dunwoody where it has been for the last three years. 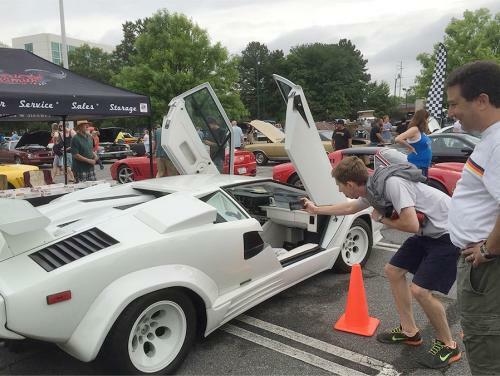 Q: Why is Dunwoody the perfect location for Caffeine and Octane? Bruce: There really isn&apos;t any other place big enough to house us. I grew up in Sandy Springs and am very familiar with Perimeter Mall. Dunwoody is centrally located where all points in Metro Atlanta can easily reach it. The show has grown so much that we are getting people from Greenville, Charlotte, Nashville, Kentucky, and all over. The response we have received since moving here has been great. People are always surprised at how easy it is to get to Dunwoody. Q: What kind of prep goes into each car show? Bruce: For every minute of the event there are probably three hours of planning that go into it. It&apos;s like inviting 2,000 friends over to your house for a party. That is what we do once a month. We invite 2,000 car owners and then another 8,000 fans to come look at those cars. In the days and weeks leading up to the show, we are handling all communications and promotions. We interact with our fans on social media every day. On the Saturday night before the show, the team shows up and we try to get as much set up as we possibly can so that we have less to do when we show up at 5 a.m. on Sunday morning. We have to make sure everything is in place, the merchandise is out, and the banners are up. Then of course we manage the show, sell the merchandise, and help everybody get back home safely. The preparation for the next show beings as soon as the last one ends. Q: What should a first time attendee expect at this car show? Bruce: We have a good representation from every decade of automobile production. You will gravitate towards what you enjoy the most. If you are there to recapture some youth and you want to see a &apos;69 Camaro or a station wagon similar to the one your mom used to drop you off at school, then you will find those in the classic cars section. If you are of a younger generation and you enjoy high performance cars, there is a section for that. The higher end cars like the Lamborghinis, Porsches, and Ferraris can be found in our exotic cars section. There is truly something for everyone. We even have a guy who brings in an army tank and another guy who brings a fire engine. That is part of the magic of Caffeine and Octane. You never know what you might see. Bruce: The biggest thrill was when Henry Ford III came to an event and spent the entire show with us. He autographed hoods, glove compartments, and visors. He probably took 150 pictures. There are lots of celebrities in the automotive world. The people at these shows are just as interesting as the cars. Q: What brings people back to this event month after month? Bruce: It is ever changing. There is always something new. People feel like they can&apos;t miss one because there will be something new they have never seen before or someone like Henry Ford might show up. They do not want to miss that unique experience. With the event being so early on Sunday mornings, it&apos;s easy for the car enthusiast to break away from their schedules and still get back home by 10 or 11 a.m.
What&apos;s next for Caffeine and Octane? Keep up with the C&O more frequently by tuning into the Caffeine and Octane TV show which airs on NBCSN Thursdays nights at 8 PM. Be sure to check your local listings.